PARIS -- French new-car registrations fell 9.6 percent in July on fewer selling days with PSA Group and Volkswagen Group suffering steep declines. Registrations for the month dropped to 132,999, industry association CCFA said in a statement today. There were two fewer selling days last month compared with July 2015, it said. Most volume brands lost ground with PSA Group sales falling 17 percent as Citroen's volume tumbled 26 percent, Peugeot sales fell 12 percent and DS sales declined by 16 percent. Domestic rival Renault's registrations dropped 4.2 percent with Renault brand down 5.5 percent while Dacia sales falling slightly by nearly 1 percent. Among other volume automakers, Volkswagen Group's sales fell by 17 percent, Ford was down 8 percent and Fiat Chrysler by 1.8 percent. Hyundai brand's registrations rose by 21 percent. Sister brand Kia's volume fell by 9.7 percent. Seven-month French market sales are up 6.1 percent at 1.24 million. 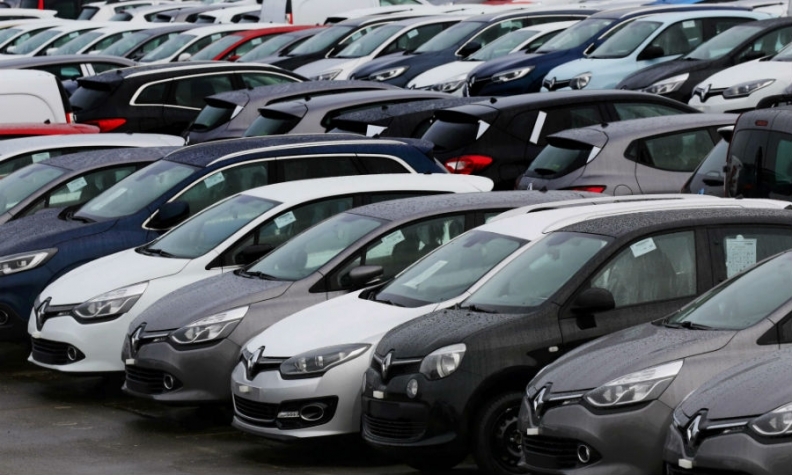 The CCFA said last month that it expected the recovery in car sales to continue into the second half based on the strong demand experienced in the first half. Registrations in Spain rose 4.3 percent to 107,306 last month, Spanish vehicle manufacturers' association Anfac said today. Through July, sales in Spain are up 11 percent to 730,540.